Schools should be one of the safest places in the community. They do not simply house facilities for academic studies; they also serve as research centers for innovations that will benefit entire communities. However, the worsening of climate change places almost every location under the danger of storms and flash floods. This success story of flood protection in Ireland’s University College Cork proves that when natural calamities strike, institutions of public life, including schools, should seek protection from solutions that truly work. University College Cork (UCC), located in Ireland, is one of the world’s best. The university has been around for more than 100 years, and is catering to more than 21,000 students. It boasts of around 150,000 alumni worldwide, and is said to be a multi-awarded educational institution in Ireland. UCC is in the City of Cork, a small island in River Lee. Because is is surrounded by the river on all sides, Cork is considered as one of the most flood-threatened areas in Ireland. River Lee has a reputation of overflowing into the city; hence, the need for a flood protection system. High tides, when coupled with heavy rains, can cause the River Lee to overflow into the City of Cork. When such an incident happens, some parts of Cork experience intense flooding to the point that some thoroughfares are totally closed down to protect the safety of motorists. In July 2014, for example, The Irish Times reported that a high-tide coincided with heavy rains and caused flooding in at least five streets in Cork. A few months ago, on February, the River Lee also had an overflow and water surged into the whole city. Way back then, establishments were closed and many businesses were forced to temporarily suspend their operations. Going over the history of the River Lee and of Cork, such flooding episodes were not unusual. The same scenario was observed in 2009, when the river “burst its banks and (a) flood depth of (1.00 meter) was experienced over a large area of the city”. UCC was not an exception in these flooding episodes. The flooding of 2009 prompted the UCC to put up a flood defense that would protect its learning facilities from possible destruction. Since UCC covers an area almost the size of a whole community, past flooding incidents damaged not just one but many of its buildings. Each of the said buildings were provided with a suitable flood protection. Mardyke serves as a university gymnasium. 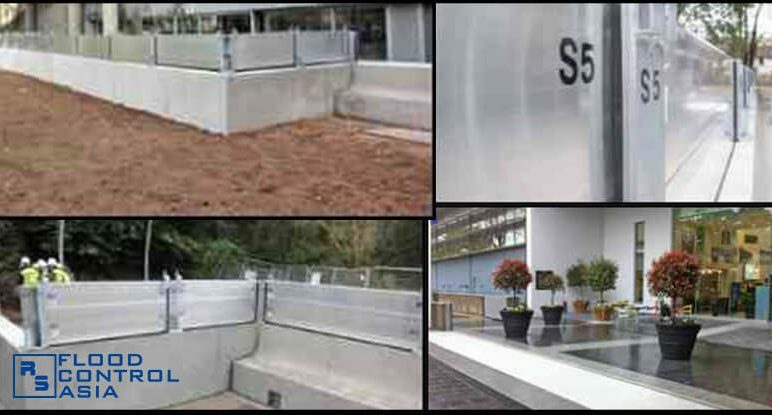 Since it differs from the typical classroom style, Mardyke’s flood protection is a combination of various systems. 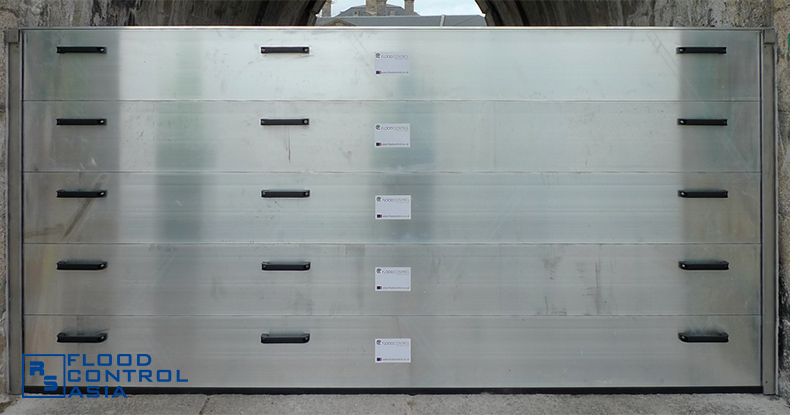 Mardyke Arena’s existing doors were reinforced by flood-proof ones. 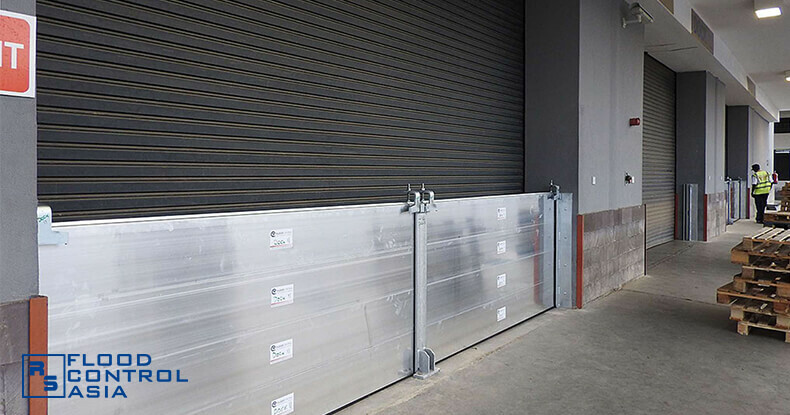 These doors are equipped with rubber seals to prevent floodwater from seeping into the arena’s protected side. 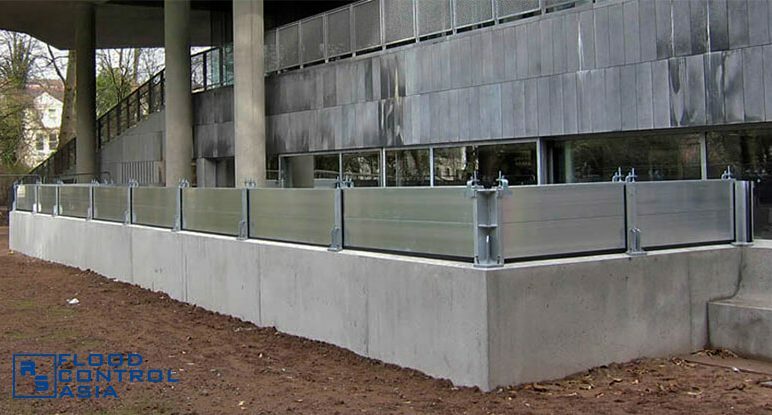 Flip-up barriers were installed to allow an unhampered access to the building when there is no flooding. Also, the flip-up barriers were rigged to an automated system that operates without the need for manpower. 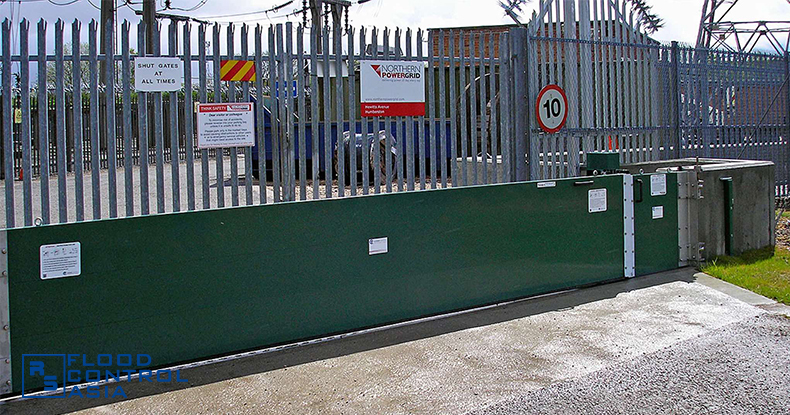 These are large but lightweight gates that are capable of sealing a floodwater entrypoint. 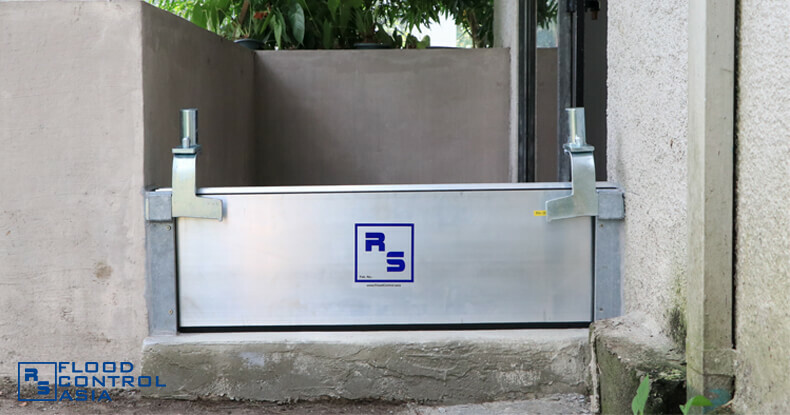 When opened, the lift-hinged gate can be swinged into a 180-degree arc; thus, allowing full access to the protected area within. When closed, the lift-hinged gate can be locked through a flipping handle with a slot for padlocks. Its constantly lubricated hinges makes the entire gate’s structures sturdy yet lightweight. Some of the flood barriers installed around the Mardyke Arena were directly in front of existing windows. These flood walls were created with windows so as not to block the natural lighting coming from the outside. These windows have water pressure-resistant glasses that allows a clear view of whatever lies outside the building. This is the most flexible of all the flood protection systems installed around the Mardyke Arena. These flood barriers are attached to slots called “side channels”. When the tides from the River Lee recedes, these barriers can be easily removed from their channels. Its installation is likewise easy; thus, allowing a quick response to the rising of the River Lee. Glucksman Gallery is an art center in UCC. 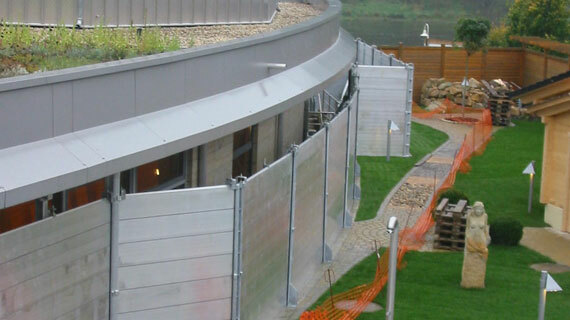 The construction of flood protection system in this building was met with strict conditions. Since it is an art gallery, the flood protection must not alter the building’s aesthetics in any way. Thus, demountable flood barriers were recommended to preserve the gallery’s artistic facade. As mentioned, these barriers can be removed when they are not in use. UCC is located in the City of Cork, which is a flood-prone area in Ireland. The City of Cork became flood-prone due to its proximity to the River Lee, which has a reputation of overflowing. More often than not, the reason behind the overflowing of the River Lee are the rising of tides and heavy rainfall. The Mardyke Arena, an impressive gymnasium that serves the UCC community is almost constantly threatened by the overflowing of the River Lee. The Glucksman Gallery, which contains many valued art works, is also threatened by the perennial flooding. Important facilities within the UCC campus are always protected through a combination of various flood control systems. These systems does not simply protect buildings from flood water, they also preserve the aesthetic quality of the structures.